The following is a list of the trainers who won the Preakness Stakes the most number of times. 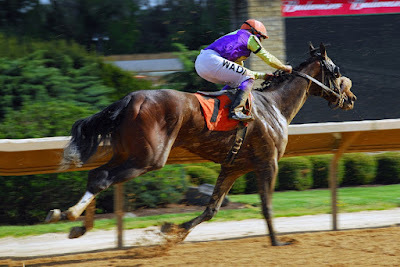 The Preakness is run annually on the third Saturday in May at Pimlico Race Course in Baltimore, Maryland, and is the second leg of horse racing's Triple Crown. It is one of the most prestigious races that a horse racing trainer can win. Trainer R.Wyndham Walden holds the record for most wins in the Preakness Stakes with seven. 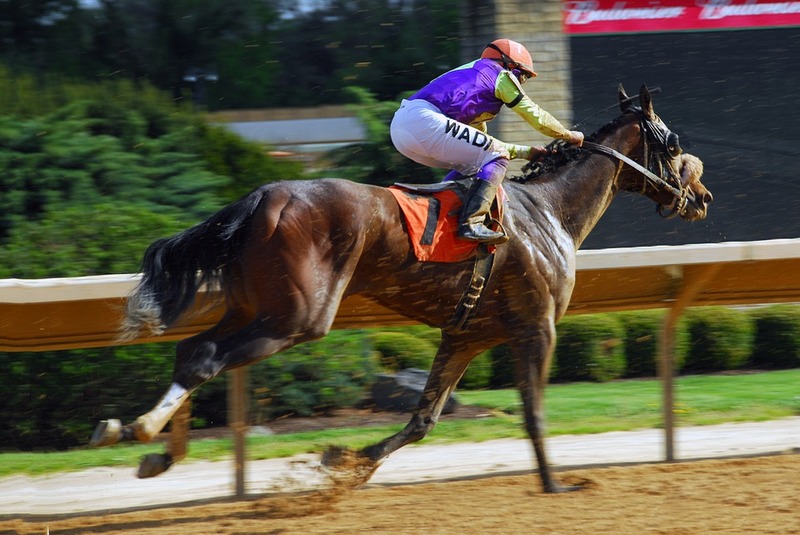 Walden also holds the Preakness record for most wins in a row with five. R.Wyndham Walden's first Preakness win came in 1875 with Ochiltree, in the third running of the race. Walden then won the race five consecutive times from 1878 to 1882 with Duke of Magenta (1878), Harold (1879), Grenada (1880), Saunterer (1881), and Vanguard (1882). Walden's last win in the Preakness came in 1888 with Refund. Though he never won the Kentucky Derby, R. Wyndham Walden also won the Belmont Stakes three times, for 10 total wins in Triple Crown races. Active trainer Bob Baffert, who is in the Racing Hall of Fame, has won the Preakness Stakes five times so far in his career. Baffert first won the Preakness in 1997 with Silver Charm, and then came right back in 1998 to win again with Real Quiet. Both horses also won the Kentucky Derby, and then both finished second in the Belmont, with Real Quiet losing by a nostril. Bob Baffert also won the Preakness in 2001 with Point Given, who probably would have won the Triple Crown that year except for a ridiculously wide trip throughout in the Kentucky Derby, where he finished fifth. Point Given easily won both the Preakness and the Belmont in 2001. Baffert also won the Preakness in 2002 with War Emblem. Another of the trainer's horses that also won the Kentucky Derby, but failed to win the Triple Crown by losing in the Belmont. Bob Baffert's fifth Preakness win came in 2010 with Lookin at Lucky. Baffert has won 12​ Triple Crown races so far in his career and he won the Triple Crown in 2015 with American Pharoah​. Hall of Fame trainer D. Wayne Lukas has won the Preakness Stakes six​ times so far in his career. Lukas first won the race in 1980 with Codex. His second win came in 1985 with Tank's Prospect. Lukas then won the Preakness in back-to-back years with Tabasco Cat in 1994, and Timber Country in 1995. For his career to date, D. Wayne Lukas has won 14​ Triple Crown races the most in horse racing history. Thomas J. Healey is tied with Bob Baffert and D. Wayne Lucas for the second most wins by a trainer in the Preakness Stakes with five. Healey won the race with The Parader in 1901, Pillory in 1922, Vigil in 1923, Display in 1926, and Dr. Freeland in 1929. Sunny Jim Fitzsimmons won the Preakness Stakes four times in his great training career. His wins came in 1930 with Gallant Fox, who won the Triple Crown, 1935 with Omaha, who also won the Triple Crown, 1955 with Nashua, and 1957 with Bold Ruler, the sire of Secretariat. Jimmy Jones, the son of Ben Jones who won a record six Kentucky Derbys, won the Preakness Stakes four times. Jimmy's wins in the Preakness came in 1947 with Faultless, 1948 with Citation, who won the Triple Crown, 1956 with Fabius, and 1958 with Tim Tam. In addition to his four Preakness wins, Jimmy Jones also won the Kentucky Derby twice, and the Belmont once, for seven wins in Triple Crown races. That is two less than the nine Triple Crown wins that his father had.